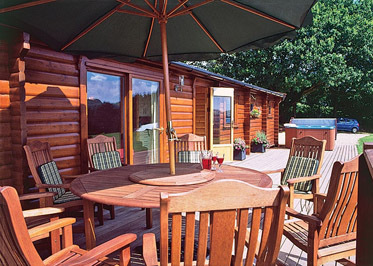 Cider Mill Lodge (Brockweir ) - Near the Royal forest of Dean and just a few minutes' drive from Tintern Abbey this beautifully appointed and warm lodge commands wonderful views over the sylvan Wye Valley above Brockweir. Easily accessed year round this border territory is marked by stunning scenery and brooding castles there are delightful market towns to explore and the walking is excellent whether on Offa's Dyke in the Forest or along the river bank. Chepstow's racecourse and golf courses about 5 miles. Shop and pub/restaurant 1 mile. 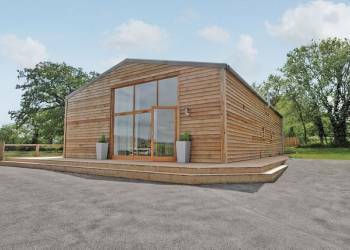 Yew Tree Barn (Usk ) - This spacious bright and contemporary converted barn lies in delightful countryside. Close to the historic little town of Usk with its fairytale castle, independent shops, many pubs and famous floral decorations, and the appealing village of Raglan - also with castle, pubs, farm shop, gliding club and award-winning butcher! The area is in the heart of historic and beautiful Monmouthshire with its myriad attractions and eateries. Coarse fishing within 2 miles. Tintern Abbey and the market towns of Abergavenny and Monmouth are all under 10 miles. Exceptional golf courses abound (Ryder Cup 2010) and excellent walking including the Brecon Beacons, Offa's Dyke, Wye and Usk Valley walks are available locally.